What do you get when you combine artistic details with unparalleled functionality? Your home’s new patio door. Choose from French, Contemporary and Classic styles and reap the benefits of energy efficiency and long-lasting strength. 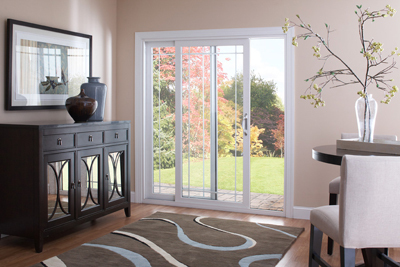 Designed with your functionality needs in mind, Window World Sliding Patio Doors not only give you the ease and flexibility you want in a door, but also double as a weather protecting barrier between your family and New Jersey’s unpredictable elements. Made from premium vinyl construction, the heavy-duty mainframe and sash, multi-chambered extrusions and steel-reinforced interlocking meeting rails combine for superior strength and structural integrity. We achieve advanced thermal protection with dual internal/external weatherstripping, a compression bulb seal, closed-cell foam gaskets and a 1″ thick insulated glass unit with a warm-edge spacer system – helping you save on energy costs and keep the elements out. In addition, the gliding door action is assured with a strong tandem roller system, while the rugged aluminum screen features four adjustable rollers for reliable operation year after year. There’s just something about a French Door. Its elegance, clean lines and crisp style enhances any room, adding charm and character. Designed with 5″ top rails, 7″ bottom rails and 3″ side rails, this door is just what you need to brighten up your space. 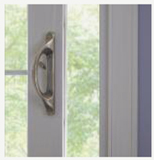 Our French-Style Sliding Patio Door handles are unlike no other. Each handle features a top lock for added resistance. Looking to add a modern look to your home? 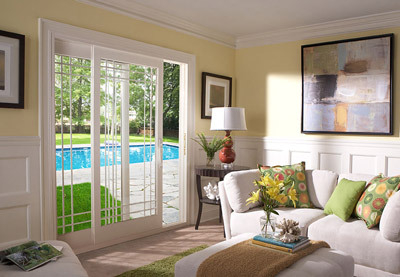 Our Contemporary-Style Sliding Patio Door will give you just that and so much more. Its symmetrical 3″ rails and sleek architectural lines, will elevate any room’s look and feel. Want added efficiency? Explore our SolarZone Insulated Glass Packages, which are built to keep your home’s temperature exactly where you want it. The lower the U-Value (also known as U-Factor), the less energy you’ll need to heat your home. The lower the Solar Heat Gain Coefficient (SHGC), the more you’ll conserve on air-conditioning. 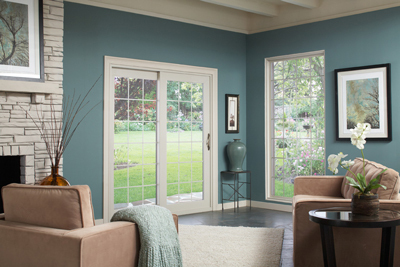 Nothing is as tried and true as our Classic-Style Sliding Patio Door, which enhances any traditional home. Generous 5″ rails and smart finishing details exude quality and refinement – for a welcoming entry that’s always in good taste. Want to add extra panache? Choose from our selection of our one-of-a-kind door handles.